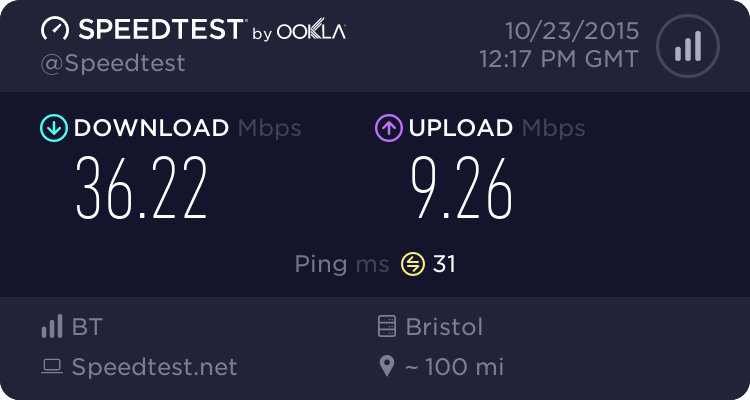 I've just been upgraded to fibre, even though I don't call it true fibre as it's only fibre to the cabinet then it still comes over my copper wires into the house. 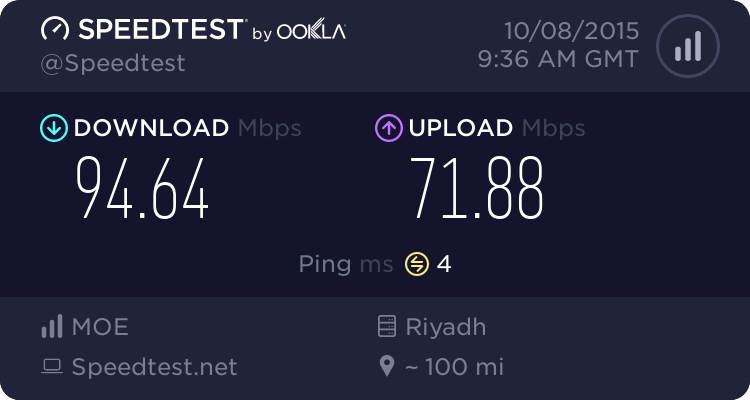 I'm still getting more speed than I used to though, used to get about 3.79 Mb/s download and 0.38 Mb/s upload, this is the speed now, just this minute taken the test. 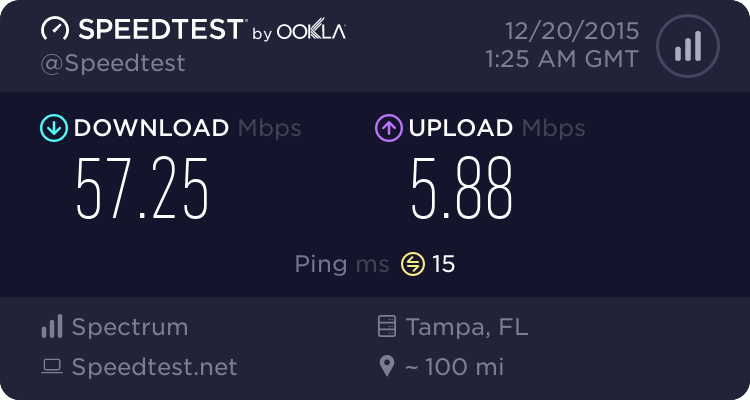 It has got to over 37Mb/s before now but I've been told my line will not go below 35Mb/s. 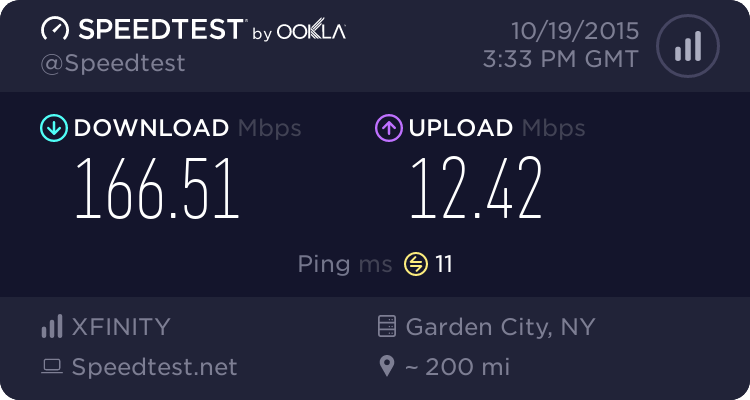 Yesterday internet was slow downloads where under 3.00 Mbps today is great. Recently was upgraded from 30Mb/2Mb to 50Mb/6Mb at no charge. Will see how long before the no charge turns into more $$$. 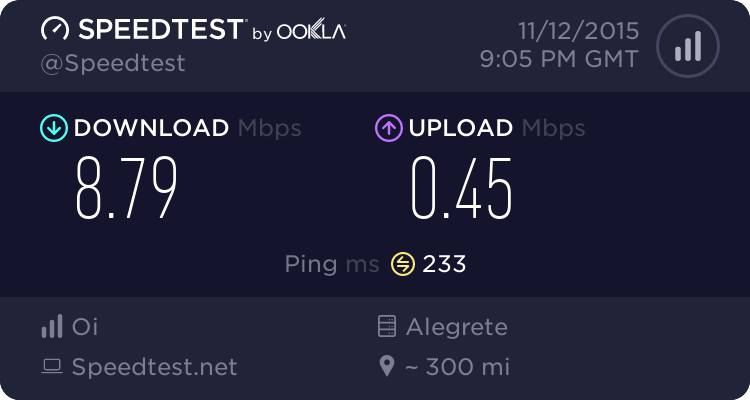 I like the speed, but not the cost.